Sword Art Online 1 covers Aincrad Arc Part 1 and contains episodes 1-7 plus a mini pin-up poster. 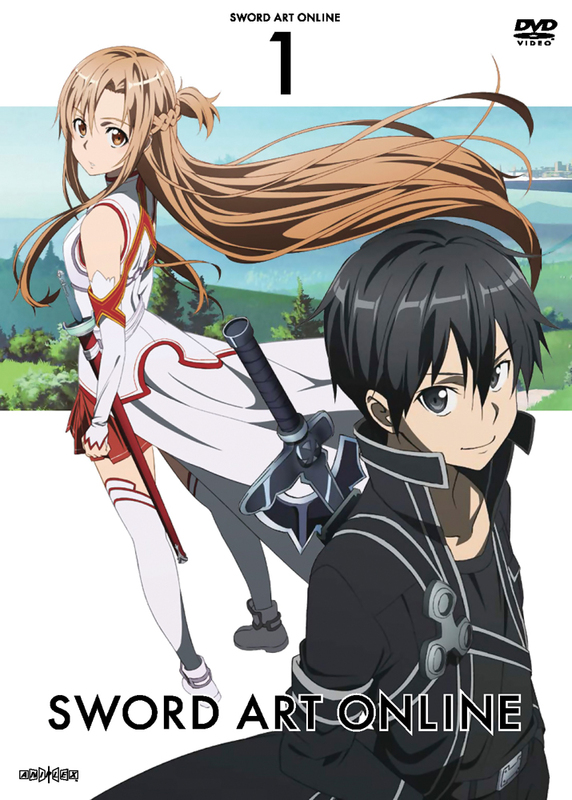 In the year 2022, next-generation game Sword Art Online (SAO) is the world's first true VRMMORPG. A virtual reality helmet known as "Nerve Gear" has been developed, making Full Dives into a virtual dimension possible. SAO has generated worldwide buzz, and on its official launch day, one player, Kirito, immerses himself in its virtual world. But Akihiko Kayaba, the developer of SAO, proclaims the following to all players: "This game is inescapable unless all levels are cleared. And in this world, 'Game Over' is equivalent to death in the real world." Special Features Spoken Languages: Japanese, English subtitles. My husband, who is not as big a fan of the series as I am, was okay with the quality of the picture (though he DID notice the difference), so you might be okay with it too. However, if you are a big fan of the show and if the visual beauty of the animation is at all important to you, purchasing the Blu-rays really is worth it, even if you can't afford to buy all of it right away. For those of you who haven't seen the show yet and are considering purchasing it, the DVDs will probably be fine (and will be much smarter for your wallet, heh heh). Fun, unique, charming, thrilling…. I could go on and on. This anime has built up a good reputation for a reason, and now you have the power to own it. Oh! The Dvds are good quality. I didn’t want to spend double for the blu-rays (call me cheap). There are few anime's that I really enjoy and very few that I can watch again and again. This is one such anime. Good story, Great Characters, Fast paced action and No gore. DVD or Blu Ray just go with whatever best fits your budget :) Having to buy a little bit at a time. A lot of their other show offerings are good as well. SAO is a wonderful series about getting trapped in a virtual reality MMO. The difference between this game and others is that you cannot logout until you complete the game and even more important, if you die in the game then you die in reality. This is a very interesting concept which bridges the gap between real and virtual worlds especially considering the recent developments with virtual reality. This DVD set contains the first seven episodes of the series. It's a five-star story contained within a four-star product. My only wishes were that the entire season one at least was contained in one box set and the price was a little lower. Most DVD and Bluray sets these days contain an entire season for this price. It's definitely worth it for any die-hard fan but the price did keep me from upgrading to the bluray version. However this is an official copy, not a bootleg, and works on US DVD players. You know what you are getting and it is cheaper here than other vendors. I ordered my copy last year during the Black Friday sale for a great price. It does contain the first 7 episodes on 2 disc. After Watching 7 Episodes on DVD, I actually enjoyed it. I am really looking forward to buy more DVD Sets in the future.